The Lance Family: So many books, so little time! 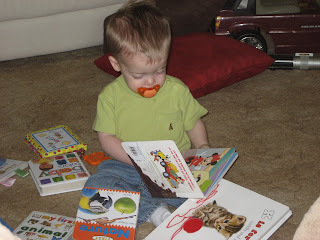 Okay, so Sean did not get his love of reading from Mommy or Daddy... I think we get to thank Aunt Elaine for the love of books! Most of them come from her anyway!